The mission statement of the Forsythe Wellness Clinic Foundation is to provide financial assistance to Stage IV adult cancer patients who are receiving integrative cancer treatments at Forsythe Cancer Care Center, Reno, Nevada. All donations go directly to cancer patients who are in cancer therapy and medical cancer treatment at the Care Center. It was founded by James Wm. Forsythe, MD, HMD in 2010. Dr. Forsythe applied for a non-profit status foundation in 2009 and received the non- profit status in 2010. The established cancer patient fills out an application and submits the request to the Forsythe Wellness Clinic Foundation’s board of directors. The application is reviewed and if approved the patient is rewarded a scholarship based on financial need. Over 30 scholarships have been presented to Dr. Forsythe’s patients who are under his medical care for integrative cancer treatment. Dr. Forsythe is the only Board Certified Medical Oncologist with a Certified Homeopathy license who practices integrative medical oncology in the United States. He was trained at one of the top five medical schools, University of California, San Francisco. He received his homeopathy certificate from the British Institute of Homeopathy. 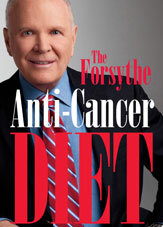 Dr. Forsythe has been treating cancer patients for over 40 years and has done numerous out-come based clinical investigations on alternative, complementary, and conventional integrative treatments. His overall survivorship rate for combination cancer treatments, AKA integrative cancer therapy (conventional, complementary and alternative medical treatments) far exceeds the National Cancer Institute and the Cancer Treatment Centers of America. Dr. Forsythe’s two year overall survival rate for Stage IV breast cancers is 85% as compared to the NCI 44% and the CTCA 65%. His 74 month 1,000 %. 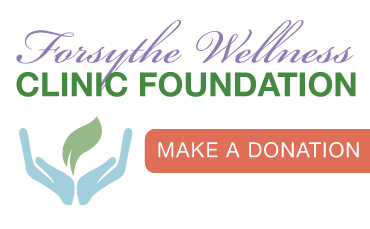 If you are interested or know any patient receiving treatment from Dr. Forsythe, please make a donation either in their name or to the Forsythe Wellness Clinic Foundation’s general fund. Please click the below link and help Dr. Forsythe’s patients rejoice in a victory over their cancer.